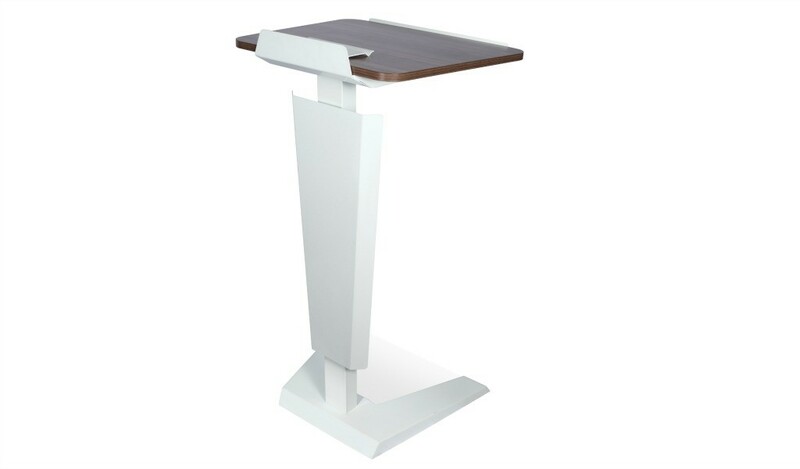 A sleek and sturdy 4.5 feet modular training table that is designed with application of cutting edge bionics. As the name suggests its design is inspired by the shape of a mantis’s legs giving it stability, flexibility and structural strength. Includes a modesty panel, storage shelf and nylon castors. Ideal for modern classrooms, coaching institutes as well as corporate training areas. 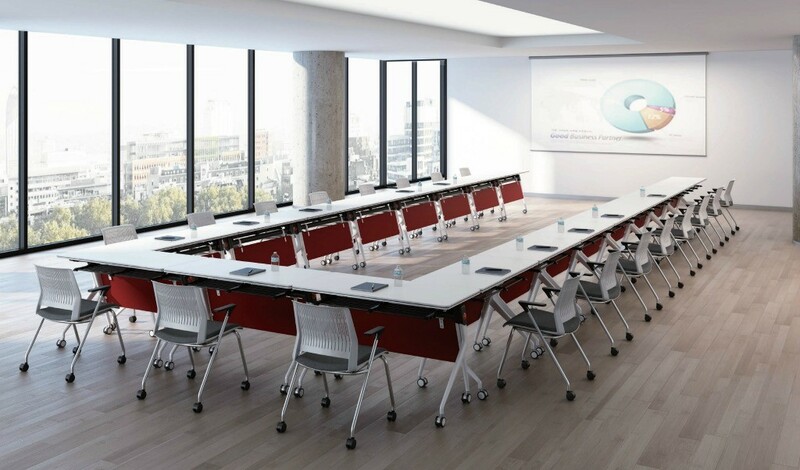 – This modular classroom & training area table looks best in its original white and red color as seen in the picture. 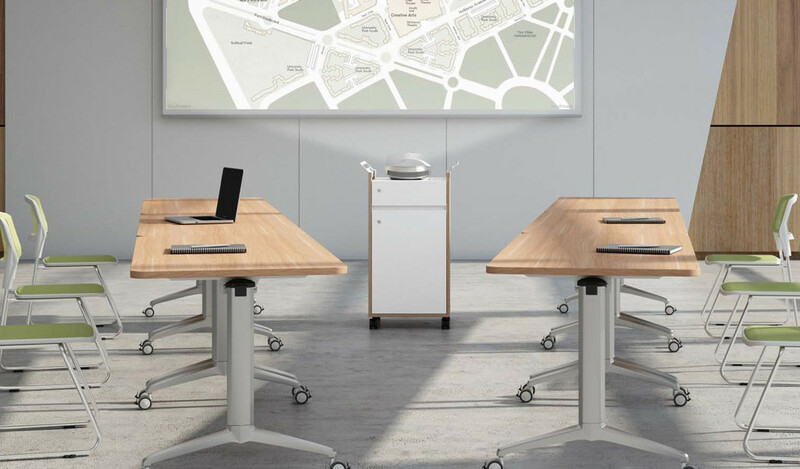 – Available in three different sizes (1.2, 1.4 and 1.6 meters) this table is suitable for classrooms as well as corporate training areas of all sizes. – Made using environment grade engineered wood and natural wood veneer. 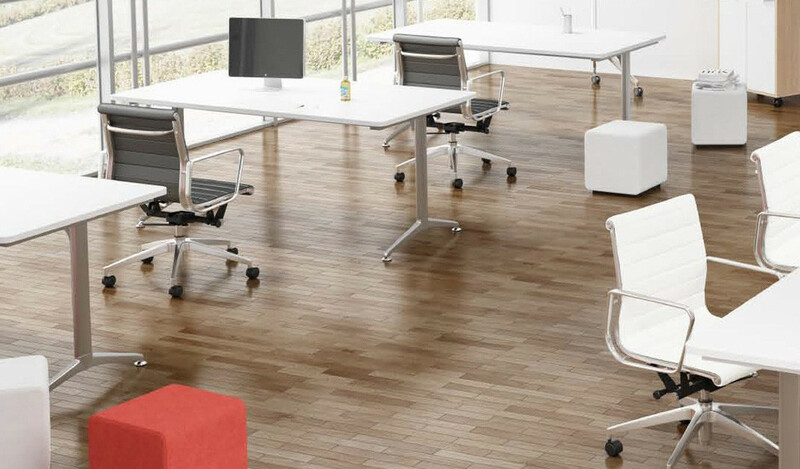 The E1 grade MDF is a highly durable material and a world standard for premium furniture while the laminate is from our carefully selected range of premium laminates with consistent color and grain structure. 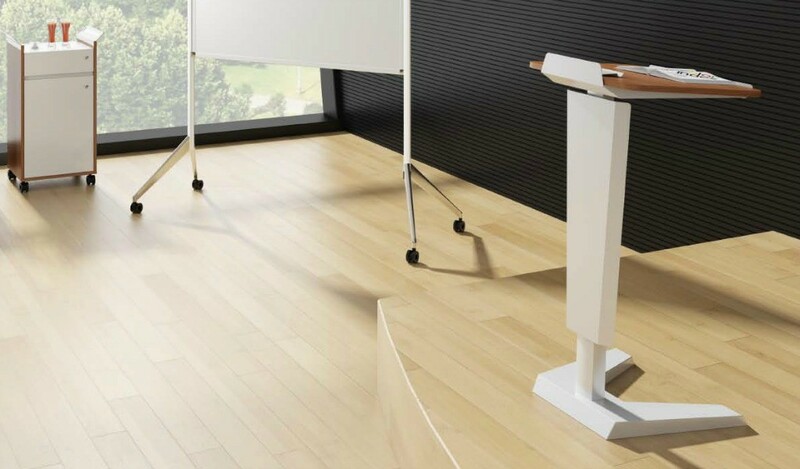 – A part of our institutional furniture series, this striking modular training and classroom table is designed with cutting edge bionics. 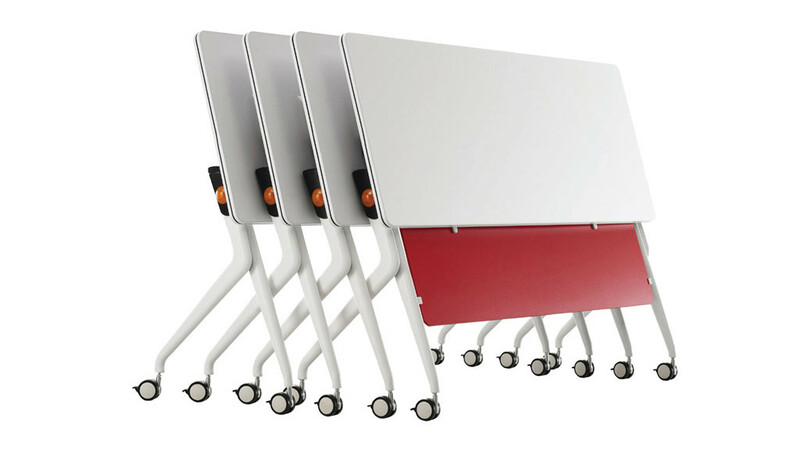 As suggested by its name, Mandis, this classroom table is inspired by the extremely strong and stable legs of a mantis. 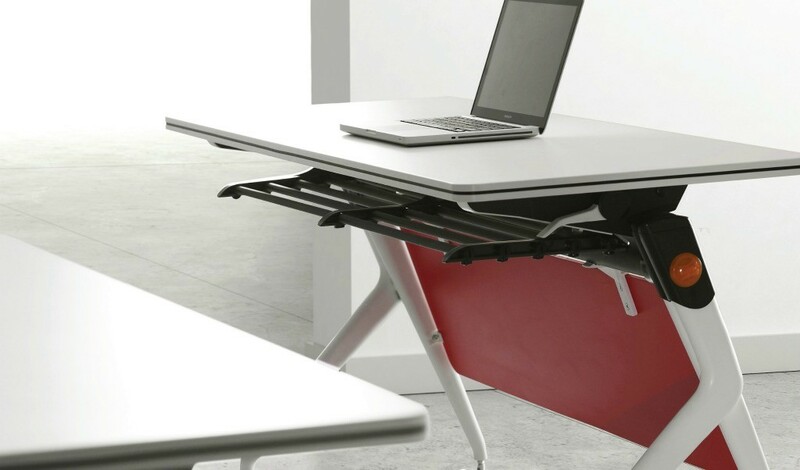 In addition to the stability and strength, it is also functional and elegant. A collapsible white laminate top, storage rack and nylon castors make it easy to move, fold and stow. It is part of the Mandis series from which you can choose an entire range of matching furniture for your classroom, coaching center or training area. Go to our catalog section to download the entire catalog.